Radford Computing Cardiff can solve all your computing problems. 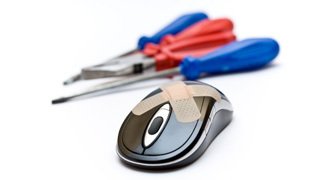 Whether you just need a bit of training, help setting up an Internet connection, removing a virus or malware, installing software or hardware or whether your computer has completely died and you need to know if it’s repairable, we are here to help. We really are the best, so call now for a free no obligation quote! No Fix - No Fee - If for some reason we can't fix your problem then you are charged NOTHING! FREE No Obligation Quote - We'll provide a quote for any work without any obligation. Virus removal – Don’t struggle, call the experts. Corrupt system files, BSOD? We will fix it. you name it, we’ll upgrade it. Laptop/Notebook Screen Repairs – cracked screen or no backlight? Keyboard replacement – missing or damaged keys? Memory upgrades – improve system performance. Email us using the contact page and we’ll reply within 24 hours with any help you may require in purchasing hardware or software. Give as much detail as to what you require, what it will be used for and budget, and we’ll find the best products and price within your budget.We have accounts with most major suppliers and can even get you fantastic discounts, so contact us now to save money. Radford Computing provide a wide range of services for the home user from training to repairs to setting up effective back-up solutions.